The growing importance of value-based payment models and population health over volume-based approaches continues to bring about dramatic delivery system transformation. Under this new paradigm, successful health plans require extensive domain knowledge and comprehensive analytical solutions. The lack of an integrated analytics and reporting platform across multiple lines of the healthcare payer business is the most pressing issue today. Responding to the integrated technology solution demand, Mile High Healthcare Analytics—a Denver, Colorado based firm— delivers practical analytics-oriented technology solutions to government-regulated payers, including Medicaid managed care plans, Marketplace issuers, Medicare-Advantage (MA) plans, ACOs, and risk-bearing provider groups.“We exclusively focus on risk adjustment, quality measurement, and population health analytics to provide an integrated solution to a variety of payer and provider organizations,” says Richard Lieberman, Chief Data Scientist, Mile High Healthcare Analytics. The firm supports day-to-day operations by leveraging its in-depth knowledge of constantly evolving government-regulated health programs. Mile High uses descriptive analytics to identify risk adjustment documentation and quality improvement care gaps; and predictive modeling to identify the factors that facilitate intervention targeting to the most productive initiatives. Most government-regulated health plans are risk-adjusted, seeking the most accurate premium payments consistent with the illness burden of the members they serve. Mile High’s technology helps find documentation and data gaps, assuring clients they are being paid equitably. Clients can analyze the enterprise-wide impact of their risk adjustment programs, integrating results from any of the combination of the multiple Medicaid risk adjustment models used by states, the commercial HHS-HCC model, and the CMS-HCC model. Mile High takes a more comprehensive approach when dealing with RAPS/EDPS or EDGE server reconciliation data. They go beyond the minimum requirements for technical compliance with submission rules and focus on initiatives that reduce data leakage. “We employ a broader data governance approach to ensure that plans receive all of the premium revenue to which they are entitled,” extols Lieberman. 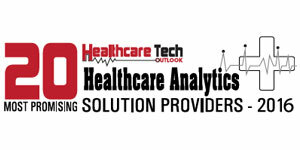 Mile High Healthcare Analytics augments its technology and analytics offerings with consulting services. For example, a large payer was unsatisfied with their MA Star ratings. Mile High’s consulting team examined the business process, data governance, and the HEDIS process, concluding that the entity was losing key data elements as claims and encounters moved from the clearinghouse to the data warehouse. “Our report presented a global viewpoint that helped them analyze the problem of data governance both from technical and clinical perspectives,” says Lieberman. With the help of a single comprehensive data warehouse that supports risk adjustment, quality improvement, and population health, Mile High’s technical acumen benefits clients with fewer errors in the data and faster decision-making. Forging ahead, the firm is working on its patient engagement platform to nudge plan members to improve the quality of their overall experience. The main focus of Mile High is to support all aspects of risk adjustment, quality improvement, and population health with a suite of software technology, analytical techniques, and high-level consulting support provided by industry experts.